A car like the Cadillac BLS is not suddenly thrust on the market for no reason. You can easily get people’s attention. But to keep their attention you have to reward them. You watch a football match for the skills and the goals. You read Jeremy Clarkson for the hilarious metaphors. You sit through the Wild Bean Café coffee commercial over and over again because the girl is gorgeous and the guy’s expression at the end cracks you up. Cars are all about rewards too. You could simply buy a car as a tool, to get X and Y from A to B. But increasingly people don’t do that. They want something special they can feel good about and continue to feel good about every time they get into it. Their reward to themselves for all the hard work they have done. A car that sets them apart from other people. Marks them as an individual, not a number. That’s why sales of standard family motors like Mondeos and Vectras are on the slide. But we’ve even moved on from that. The BMW 3-Series now actually outsells the Mondeo, so while it is rewarding to drive, it hardly marks you out as an individual. These days, car buyers are constantly looking for something new. Something a bit special, that says they’re brave enough to have broken away from convention and made an individual choice. In the £20,000 to £25,000 bracket you could follow the crowd and ‘fit in’ with a BMW 3-Series, an Audi A4 or a Mercedes C-Class. You could drive either to the golf club and no one would raise an eyebrow because no one would notice. 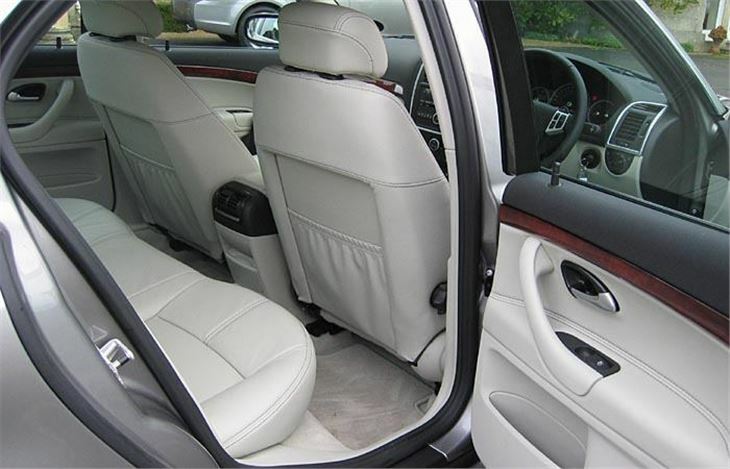 You could be brave and go for the stunning looks and handling of the Alfa 159. 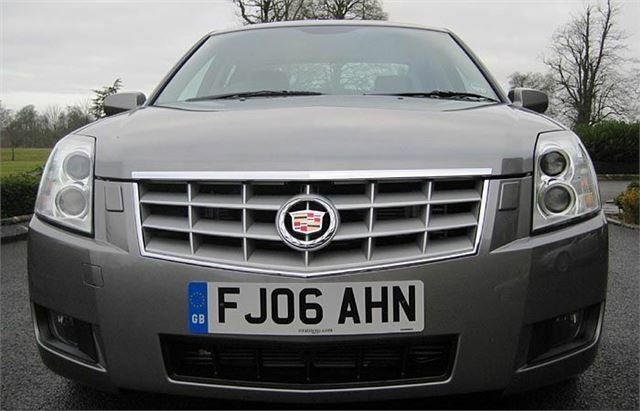 And now, for just over £20,000, you can have a Cadillac. Over the last 10 year Cadillac has slowly been moving out of Florida American brash into East Coast American tasteful. Building a niche which is exclusively Cadillac. Nowadays the bad guys all drive black Chrysler 300Cs. The lawyers drive Cadillacs. It’s both tasteful and blingy at the same time. 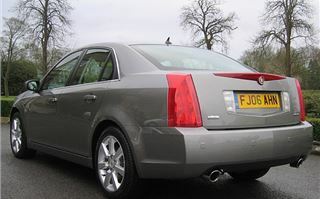 Slab sides, cheesecutter grille, and ‘V’ shaped third rear brake light across the boot lid all clearly say ‘Cadillac’. Inside, the inability to resist brushed aluminium trims round air vents reflect badly, (in the windscreen). 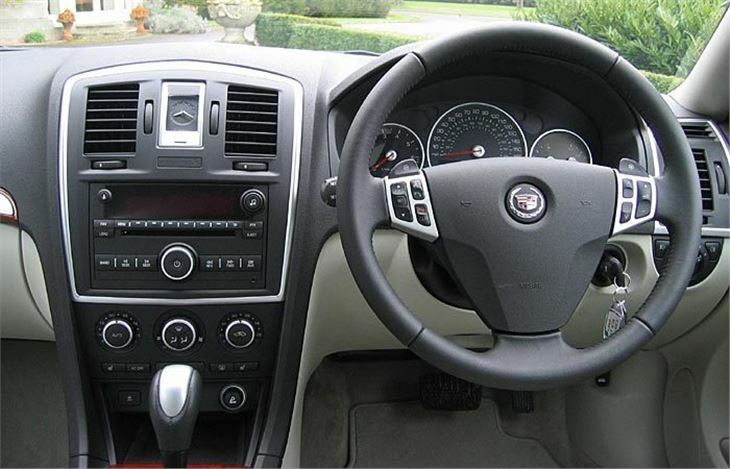 But the rest of it, especially the leather-bound steering wheel, is pleasant both to behold and to hold. You can get in there time after time and say to yourself, yes, I made the right choice. You can pull up at a hotel and get the doorman’s respect rather than his distain. You can take clients to a restaurant and instead of ignoring the car they ask you about it. You will be noticed rather than ignored. And it’s quite good to drive, as well. At least the diesel is. 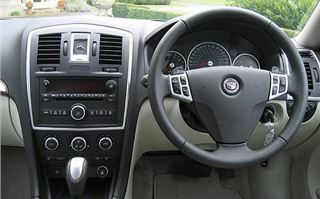 It shares the same GM/FIAT 1.9 common rail 150PS engine and 6-speed manual transmission as the Alfa 159, the Alfa Brera, The SAAB 9-3, the FIAT Croma, and, of course, various Vauxhall Signums, Vectras, Zafiras and Astras. And strangely enough it feels more like the Alfa than the others. It has a bit of bite to the front-end and feel to the steering. It goes well enough. Handles somewhere between the 159 and the 9-3. If you want, you can have the same excellent 6-speed automatic transmission as tested in the Zafira a few weeks ago. 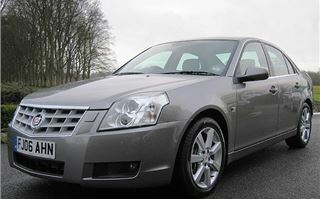 You pay for the decent handling with ride quality on 17” wheels with 225/45 tyres that is far from magic carpet. Wind and mechanical noise levels are so low that all you hear are the tyres, which can drone a bit on bad surfaces. (The 18” wheel option is definitely not advised.) 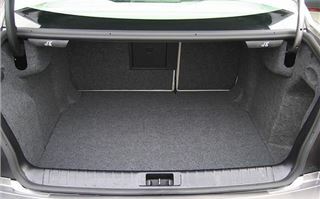 You can have a high quality BOSE sound system if you want. And touch-screen satnav. The Bluetooth adaptability allows you to cradle some phones and benefit from the car’s power supply and external antenna. Or you can simply set your phone to recognise the car’s hand’s free system and leave the phone in your pocket. The £31,600 255bhp 2.8 V6 turbo auto wasn’t as impressive as the diesel. It’s a lot faster, of course. But the steering curiously felt lighter with far less ‘feel’. And the 6-speed autobox wasn’t as happy with this engine as I found it with the diesel in the Zafira. Left in Drive, cross-country, unless you drove very slowly, it kept changing at inopportune moments. And even in town it seemed to use too many gears. Manually, using the steering wheel toggles, it was much better. On the motorway it was fine. 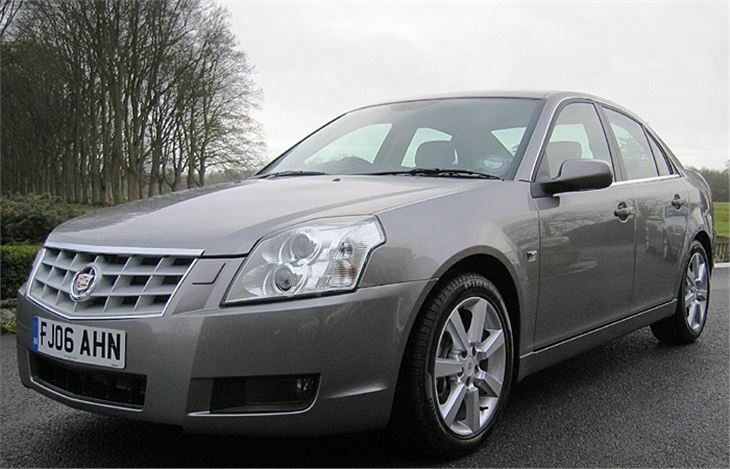 But then, who needs 255bhp to cruise at 75-80mph on the motorway? For that kind of money there are better choices. 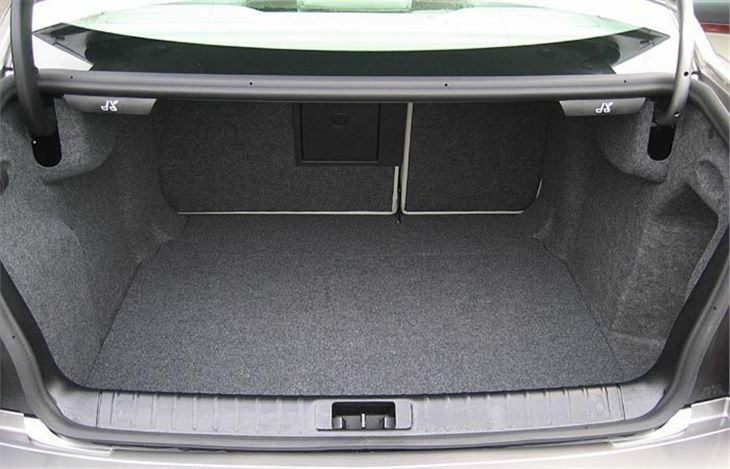 A bigger, rear-drive Cadillac CTS, for example. But the V6 Turbo exists as range topper if you want it. The car’s natural price level is £20,000 to £25,000. It actually starts at £20,728 for the 175bhp 2.0T petrol (almost echoing the Alfa 159). And goes up to £26,250 for the 210bhp 2.0T Sport Luxury auto. 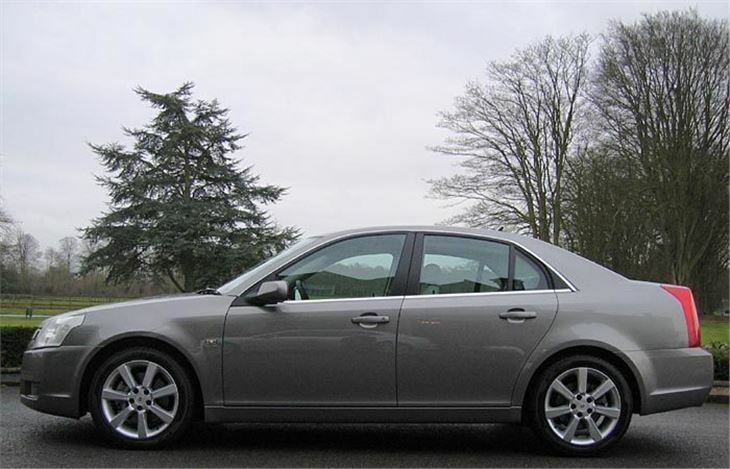 (The 2.0 litre petrol models have SAAB engines with 6-speed manuals or 5-speed autoboxes.) So if you live somewhere sensitive to the clatter of a diesel engine starting in the morning you can always opt for a 2.0 litre petrol. Pendragon is building up its Stratstone sales and service network so that by June it will have Cadillac centres in Park Lane, Birmingham, Reading, Derby, Leeds, Newcastle, Hagley, Luton, Cardiff, Manchester, Weybridge, Leicester and Northampton. By December Poole, Nottingham, Edinburgh, Glasgow and Plymouth will also be covered. Additionally there will be service and repair centres in Swansea, Cheltenham, Burnham, Portsmouth, Teeside, Aberdeen Leicester, Northampton, Edinburgh and Glasgow. The mechanicals are well proven and the safety levels are pure SAAB so there are no unforeseen worries. You will have an exclusive car that will remain a conversation piece for many years to come. And every time you get in and feel that fat leather steering wheel you know you’re going to enjoy the drive.